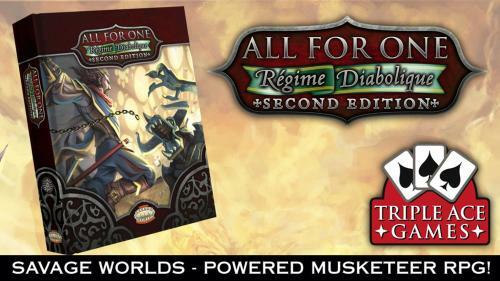 Triple Ace Games is a publishing company based in the UK. 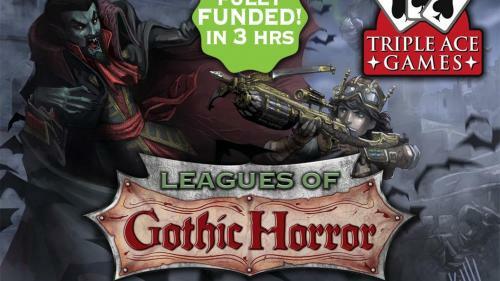 Their critically acclaimed roleplaying games include Hellfrost, All For One: Regime Diabolique, Necropolis 2350, Leagues of Adventure, Leagues of Gothic Horror, and Leagues of Cthulhu, as well as the Rocket Race, Cadaver, Imps!, and Halfling Feast card games. The company was started in 2008 by Paul ‘Wiggy’ Wade-Williams and Robin Elliott. With over 250 products already published, and TWENTY FIVE successful Kickstarter projects, they have an enviable track record of high quality products! 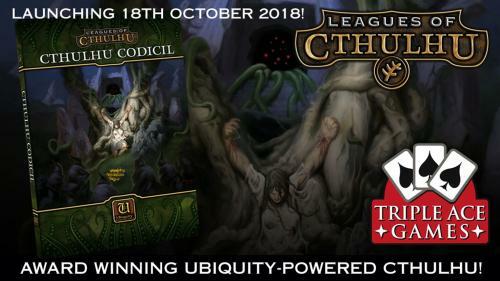 More Mythos and madness from the producers of Leagues of Cthulhu, the Ubiquity-powered RPG of Victorian Lovecraft's Mythos. 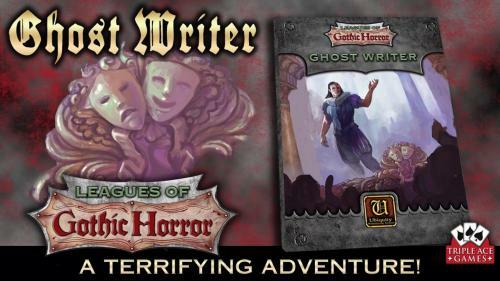 Ghost Writer - a Gothic Horror adventure! A Leagues of Gothic Horror adventure, where theater and death become one! 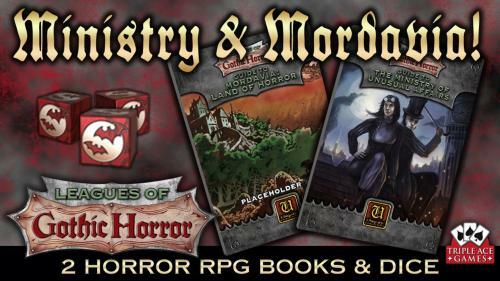 Join us in exploring the Ministry of Unusual affairs and Mordavia: Land of Horror! 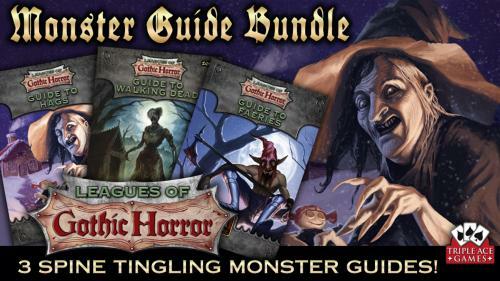 Intrigue, adventure, and terror await! 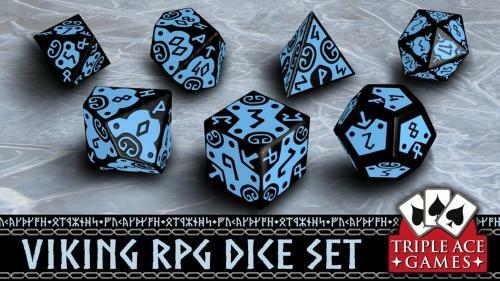 Seven 16mm engraved polyhedral dice with a Viking theme! Variety of colors available. 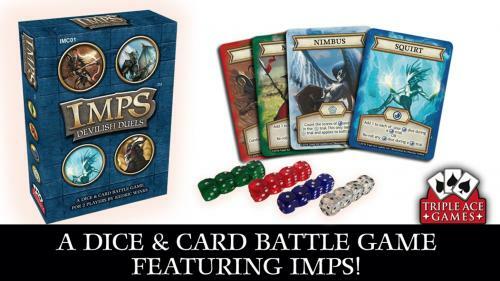 Imps Devilish Duels is a card and battle game for 2 players. Build a dice pool and lead a party of imps into elemental battle! 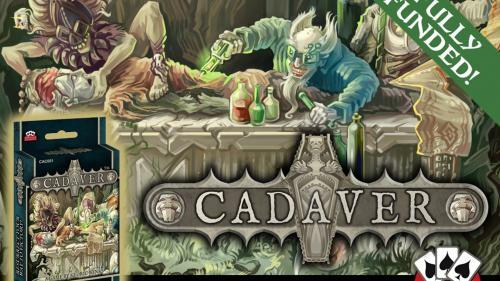 Cadaver is a lighthearted game of friendly necromancy! Players compete to resurrect as many bodies as possible! WE ARE FULLY FUNDED! 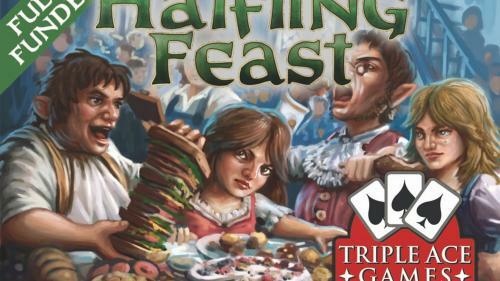 A fantasy card game of competitive eating for 2-6 Players. Let the feast begin!